Internet-based education holds great promise for providing students in developing countries with resources they might otherwise never see. Chemistry is one subject area in which students in these areas could especially benefit from Internet learning. However, there are currently many obstacles to Internet access. In developing countries, only about 10 percent of the population has access to electricity, which creates a real impediment to Internet access. Even when there is electricity, a majority of people live in rural areas that lack communications infrastructure. Additionally, in many developing countries the terrestrial system for Internet access is through a slow copper-wire network. In areas where no infrastructure exists, satellitebased systems offer a practical alternative. It is the best option for high-speed data transmissions in the absence of fiber-optic cabling. Furthermore, wireless technology has no environmental limitations, it can work on moving glaciers or deep inside rain forests, and there is no need to lay fiber underground. The beauty of teaching over the Internet is that knowledge is distributed beyond the walls of the classroom. Web-based education is a discipline without restrictions of time and location. Apart from remote lectures, the Internet allows for the downloading of course-modules or entire courses. The Internet provides an excellent opportunity for remote chemistry education for schools and for universities. Even though chemistry is an experimental subject, experiments can also be delivered through web-based education. The dissemination of science and technology information on the Internet has opened many new venues for scientific inquiry in areas such as modern chromatography, on-line spectrophotometry, astronomy and cosmo-chemistry, and remote sensing. Fortunately, the Internet has provided new avenues for scientific advances to be shared between scientists in developed and developing countries. For example, some online medical and scientific journals are supplied for students, scientists, and academics in developing countries free of charge or at greatly reduced prices. The Internet can also open the information flow from developing to developed countries as well. Over 25 percent of the world’s scientists are from developing countries. Providing access to journals and communications with the worldwide scientific community will encourage scientists in these areas to publish their research papers. The Internet has proved to be an excellent resource for students in developing countries since it provides them with supplementary lessons and helps prepare them for exams with assessing tutorials, discussions, and exercises. It also offers them unlimited opportunities to get information on physical science subjects. These students frequently explore the web to search for books, references, and journals to obtain detailed information for a course they are taking. Unfortunately, the distribution of the Internet in developing countries is frequently not a technological problem, but rather a financial one. The time allowed for school children to surf on the Internet is limited mostly due to the cost of being online. Technical solutions have to be investigated to minimize this cost. Excellent hard and software systems that support rapid data transfer are among the solutions. While Internet technology continues its rapid advancement, the forecast for Internet availability in the developing countries is uncertain. However, the technological and the financial requirements must be solved. Funding is needed for developing countries to acquire the technology and develop their own methods and requirements for web-based education systems. However, priority should be given to communities in remote areas or the countryside since they have far fewer educational opportunities due to a shortage of schools. In general, experiments and small practical work applying advanced technology encourages the young people at schools and universities. Another way of making science subjects in general, chemistry in particular more interesting and preferable by the young generation in the developing countries is, to organise competition. Students in schools and universities compete against each other. Various competitions could be prepared. It could be, basic research; laboratory work; problem analysis; homework assignments; quiz; etc. The winners will get reward for their outstanding merits. This type of scientific work stimulates enthusiasm by the students. The program should give an impression that high school and university students are the leaders of tomorrow. The method helps to develop a scope for individual tangential investigation through their life. This is one of the methods among several others to prepare them to take responsibility in their future carrier. 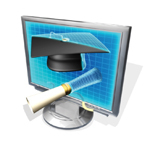 Therefore, a lot can be achieved in a lesson that incorporates web-based distance education. Dr. Gedion Getahun <gedget@radioanalytical-chemistry.org> is Environmental Radio chemist, engaged as Research Scientist and Lecturer. Member of German Chemical Society (Gdch), subdivision: Analytical Chemistry & Ionising Radiation. Page last modified 6 August 2008.